From beatings to brutal stabbings, fire to bullets to the head, check out these 20 memorable deaths from Sons of Anarchy. Bang, bang.. she's dead. Jax avenged the murder of his wife by shooting his mother in the back of the head on the show's penultimate episode. Loyal to SAMCRO to the very end, Bobby gave his all for the club, including an eye and a thumb. We'd hoped for better for him but a bullet to the head put him out of his misery. In the end, Unser had nothing left but to give his life to try and save Gemma. Even that wasn't enough to save her. 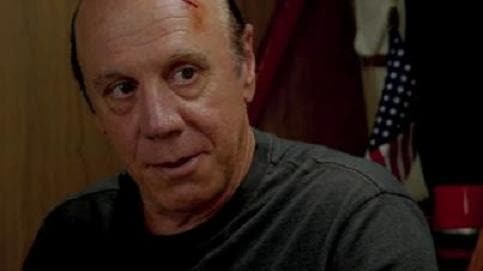 The President of the Indian Hills charter took a bullet from Jax for being a suspected rat but was it really Jury or someone else who sold SAMCRO out to the Chinese? Opie made the ultimate sacrifice to save Jax. He was beaten to death in prison, while Jax and the club watched. RIP Opie. 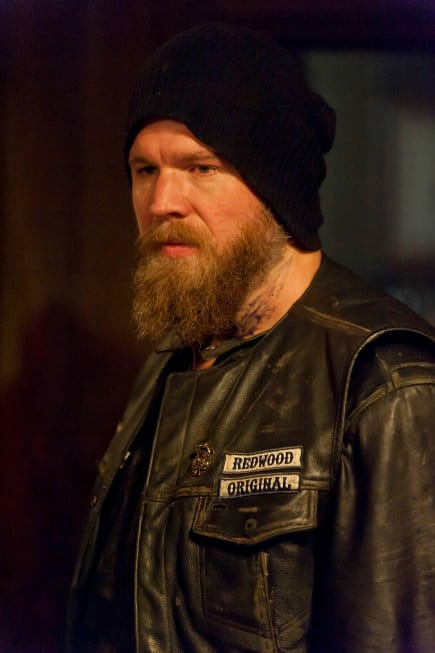 You were the heart of SAMCRO. We'll never forget you. When Clay thought Opie was a rat, he sent Tig to take care of it. Unfortunately, Tig ended up killing Opie's wife Donna instead. It was horribly tragic and reverberated through SAMCRO for seasons to come. Sons of Anarchy Spinoff Gets Pilot Order at FX!! Sons of Anarchy Spinoff: What Will It Be Titled? Sons of Anarchy Round Table: "Toil and Till"
Sons of Anarchy Round Table: Is Gemma Insane? 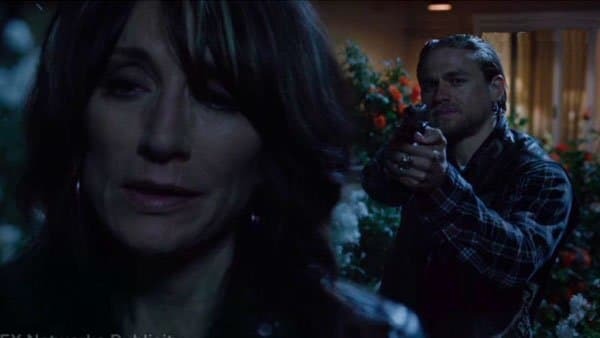 Sons of Anarchy Season 7 Episode 6 Promo: Will Juice Turn? Sons of Anarchy Review: Expired Juice? Sons of Anarchy Season 7 Episode 7 Teaser: Will Juice Spill? Sons of Anarchy Season 7 Episode 8 Promo: Can Jax Save Bobby? 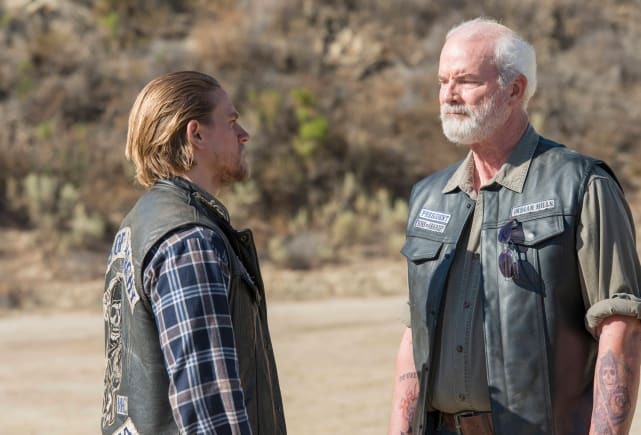 Sons of Anarchy Season 7 Episode 9 Promo: What Did Juice Spill? Sons of Anarchy Review: Who Has Left the Building? 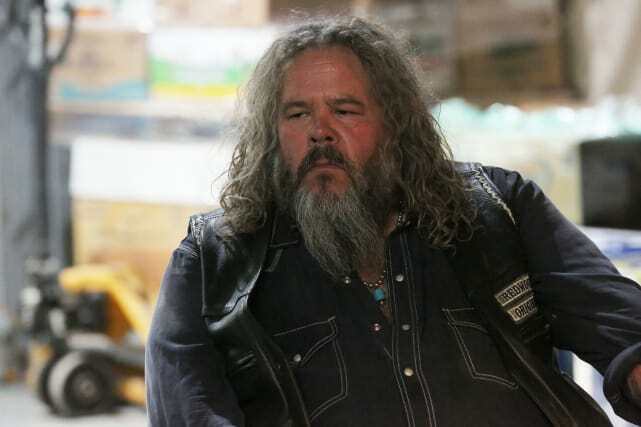 Sons of Anarchy Season 7 Episode 10 Promo: Will Juice Get to Lin? Sons of Anarchy Season Season 7 Episode 11 Promo: Will the Truth Be Revealed? Sons of Anarchy Season 7 Episode 13 Promo: How Will It End?